When will be National Lottery: Jet Set next episode air date? Is National Lottery: Jet Set renewed or cancelled? Where to countdown National Lottery: Jet Set air dates? Is National Lottery: Jet Set worth watching? 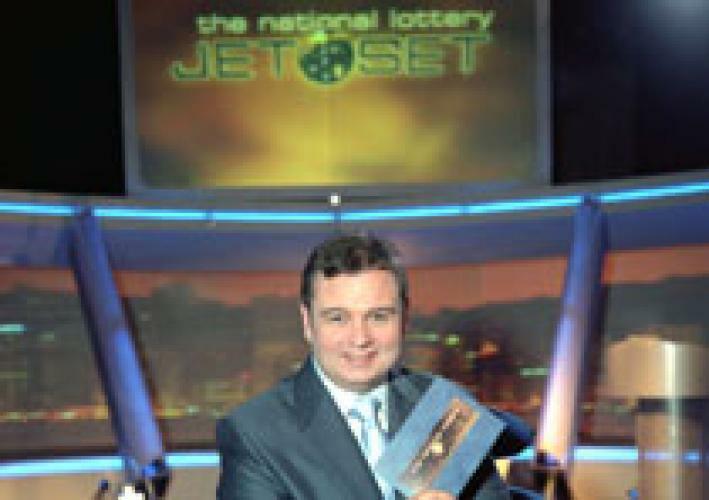 National Lottery: Jet Set is presented by Eamonn Holmes. Six contestants compete against one another with one being eliminated in each round. The finalist then competes against last week's winner to try and win a holiday. The numbers from the national lottery draw are used in the final round and the finalists have to predict if the number is higher or lower than the last ball drawn. If they guess correctly they can select what category to answer a question from. If they are incorrect their opponent selects the category. The first player to reach three points win the holiday. EpisoDate.com is your TV show guide to Countdown National Lottery: Jet Set Episode Air Dates and to stay in touch with National Lottery: Jet Set next episode Air Date and your others favorite TV Shows. Add the shows you like to a "Watchlist" and let the site take it from there.